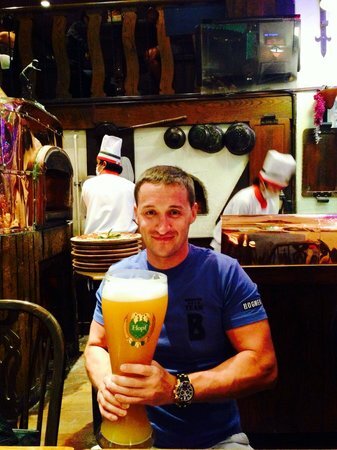 Hopf Brew House directly located on Pattaya Beach Road Soi 13/1 is a delicious Itialy restaurant. 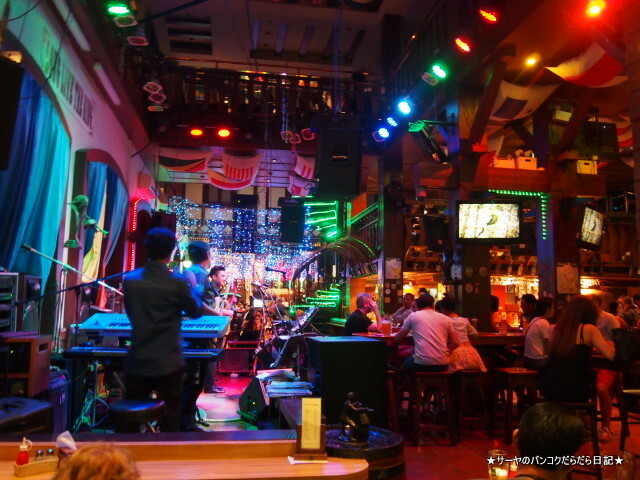 They got every night a live band there which entertains u with an awsome music atmosphere, Also the boss of the house sinds for his audiance, and do a pretty weill job.The Staffs here are all well trained speak good english and do an awsome job, they know how to treat a customer. If u wanna join here at the evenning then plan that u have to wait a bit, its normaly so buy here that u will get there a number at the entry and have to wait until a table is free, yeah this place is very famous, even people from BKK com over to enjoy the high quality food.The design inside is pretty special and for sure beautiful, so will feel good in any case.The food speaks by themself, it is really a high quality food to a very very fair price. Recommended is the pork knuckle with mashed potatoes and sauerkraut. The Pizza's also taste somethingg and dont forgett one of their traditional appetizer or as dessert an tiramisu.U also have to try ther home bew own house beer, its like 150bht for 500ml, so a pretty good price, they even bring u a try to the start for free that u can try which beer is your favor, so dont worry to ask them. How I say this place is really awsome, nice design inside, good live msuic, trained staffes and n awsome food. Check out the location to get there and enjoy your evening at a nice company.